The People’s Liberation Army (PLA) has grown and modernized rapidly since China reopened to the world in the 1980s, but under Xi that pace has accelerated with a focus on fighting and winning future wars. On Tuesday, the Chinese government unveiled an increase in military spending of 7.5% during its annual “Two Sessions” legislative meeting in Beijing, a slight dip on last year’s spending increase. Experts said the slight drop was likely to avoid domestic perceptions that the country’s military spending far exceeded its overall economic growth, which is set to grow at no more than 6.5% in 2019. 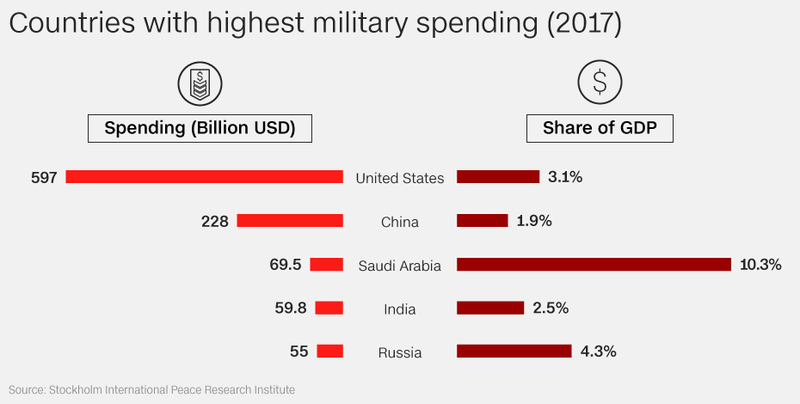 While the Chinese military may be one of the world’s best-funded armed forces, its budget still pales in comparison to United States. In December, US President Donald Trump agreed to increase the defense budget funding to $750 billion in 2019. The US Navy still dominates the world’s oceans too, far outpacing China in its logistical capabilities and international reach. But Beijing is rapidly gaining ground on its American rival, by churning out naval vessels and making technological advances, according to Andrew Erickson, professor of strategy at the US Naval War College’s China Maritime Studies Institute. “No one has presided over this level of Chinese military development in Chinese history before Xi Jinping,” he said. Directly comparing every aspect of two countries’ military budgets is impossible, said Erickson, because different governments count spending in different ways. But the US expert said it was incontrovertible that China’s military budget was the second largest in the world. “Clearly, overall, these are armed forces to be reckoned with. In many areas, they have weapons systems that only a few other countries possess,” he said. The signs of a push to modernize the military are everywhere. Between 2016 and 2017, 32 new ships were commissioned by the PLA, according to US government reports. In comparison, the US commissioned 13. “China’s navy is receiving warships so quickly that Chinese sources liken this to dumping dumplings into soup broth,” Erickson said. While the military strengths of the US and China are often compared, the two governments ostensibly have built their armed forces to serve different goals. Zhang Yesui, the National People’s Congress spokesman, on Monday afternoon told reporters: “China’s limited defense spending, which is for safeguarding its national sovereignty, security and territorial integrity, poses no threat to any other country. The major scenarios that China’s military cares about could be called “home games, rather than away games,” Erickson said. While the US has a huge fleet of 12 nuclear-powered aircraft carriers, China has barely one conventionally powered carrier operating, with another in the wings. The Type 001A, the country’s first homegrown aircraft carrier, was launched in 2018 but still has not joined the fleet. Beijing has, however, rapidly produced Jiangdao-class corvettes, a small warship generally best suited to fighting close to home. A US Department of Defense report in 2018 said this move was designed with an eye to “littoral” combat, or fighting close to China’s shores. Backing this up is China’s rapid production of frigates, another small type of warship, and the arming and expansion of the country’s coast guard. This makes sense given the Chinese government’s focus on controlling the South China Sea, where it has been building militarized artificial islands and holding regular drills in the sea. But all this doesn’t prevent the Chinese military from having growing its fleet to extend its global influence. The PLA opened its first international base in Djibouti in July 2017. A third aircraft carrier is reportedly under construction, featuring advanced launching capabilities. “They’re building power projection capabilities which will give them greater ability to project presence and power (into) the Pacific and the Indian Ocean,” said Malcolm Davis, senior analyst at the Australian Strategic Policy Institute. 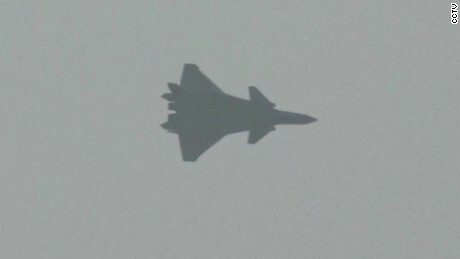 There are also doubts around the effectiveness of some of the PLA’s new technologies. Military analyst Carl Schuster, a former US Navy captain, has cast doubt on some of the advances allegedly made by the Chinese military, including claims that it has developed a ship-killer ballistic missile. Such a missile could in theory be based well out-of-range of US naval strike forces while putting Washington’s biggest assets, its aircraft carriers, in range. “It’s not clear the traditional advantage in military technology for the US is going to remain intact,” he said.